There are two terrific non-league high school football games on the Week 3 Clark County slate, both being played in Vancouver. The headliner is defending 3A state champion Eastside Catholic vs. Union at 7:30 p.m. in McKenzie Stadium. Eastside Catholic, ranked No. 1 by Associated Press in 3A, is coming off a 31-16 win over Skyview, in a game played last Saturday night in Seattle. Union (2-0) has dominated its first two games, with wins over Hermiston (Ore.) and Mountain View. Across town at Kiggins Bowl at 4:30 p.m. pairs O’Dea of Seattle, No. 3 in 3A, against Skyview, No. 7 in 4A. O’Dea (2-0) is coming off a 45-6 win over Shelton, while Skyview (1-1) has a win over Sunset of Beaverton (Ore.). O’Dea-Skyview and Union-Eastside Catholic are part of a doubleheader in both stadiums. Following O’Dea-Skyview in Kiggins Bowl is Evergreen vs. Hudson’s Bay. The first game in McKenzie Stadium is Battle Ground vs. Mountain View at 4:30 p.m.
An interesting out-of-town game pits No. 2 Camas at Davis of Yakima. It’s Camas’ first road game following blowout wins over Central Catholic of Portland and Sherwood at Doc Harris Stadium. It’s the first of two long road trips for the Papermakers, as they play at Coeur d’Alene (Id.) on Sept. 24. Clark County football is on fire early this season. In last week’s Tacoma News Tribune state rankings, six local teams were among the top 10 in the Class 4A, 3A and 2A rankings. 4A: No. 2 Camas, No. 7 Skyview, No. 10 Battle Ground. 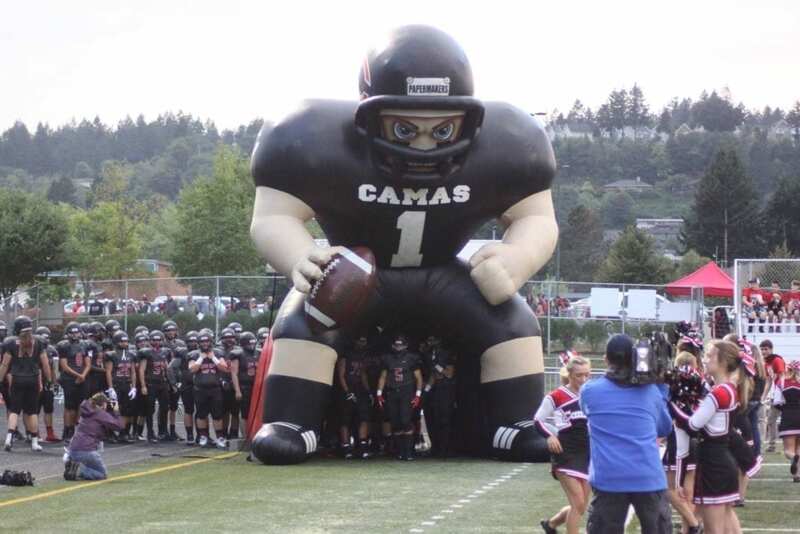 The Associated Press state rankings have Camas as the highest ranked local team, at No. 2. Battle Ground at Mountain View, 4:30 p.m. Fort Vancouver at Astoria, 7 p.m. Camas at AC Davis, 6 p.m. O'Dea at Skyview, 5 p.m. Eastside Catholic at Union, 7:30 p.m. La Center at Ridgefield, 7 p.m. Woodland at Hockinson, 7 p.m. Washougal at Columbia River, 7 p.m. Prairie at Black Hills, 7 p.m. Evergreen at Hudson's Bay, 8 p.m. Bainbridge at King's Way, 6 p.m.
West Valley (Yakima) at Heritage, 4 p.m.